Each year thousands of people die or get injured in car accidents, otherwise known as road accidents, auto accidents or car wrecks. According to the latest news in traffic fatality estimates released by World Health Organization (WHO), at least 1.25 million people died in road accidents each year. Nearly 50% of those dying on the roads are vulnerable road users, such as motorcyclists, cyclists, and pedestrians. There are several factors, which contribute to such accidents such as drunk driving, speeding, distracted driving, driving while tired, overtaking in an unsafe manner, and so forth. Whatever may be the reason, road accidents cause harm to life and property. 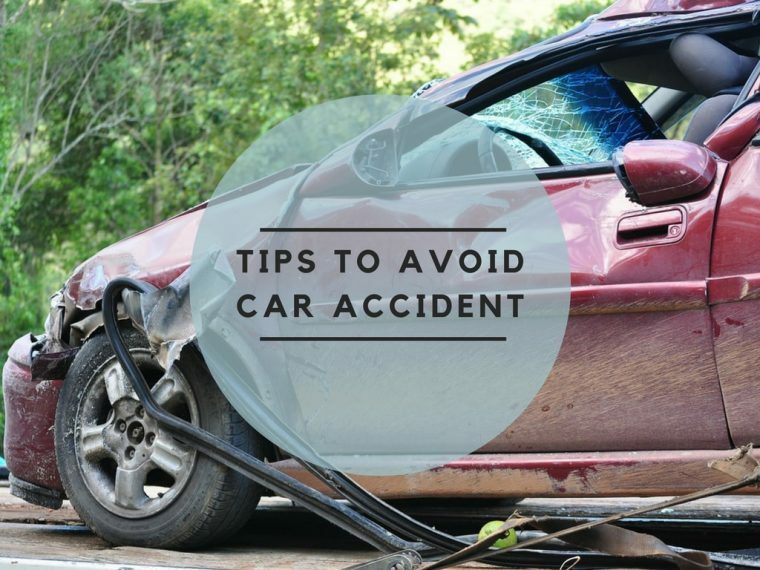 Even so, there are several steps you can take to avoid traffic accidents. Talking, texting and surfing the web are extremely dangerous when done behind the wheel. The National Safety Council’s report found that the use of mobile phones accounts for 25 percent of car accidents in the United States each year. As you can see, a cellphone can be distracting. Therefore, there is no good reason to be using your handheld cellphone while you’re driving. If possible turn it off. If you want to make a call, wait until you’re parked before doing so. Other distracting behaviors that you should avoid while driving include: turning the radio, reading, talking to passengers, tending to kids, self-grooming, eating and drinking. Needless to say, drunk driving is one of the top causes of road accidents worldwide. Driving under the influence of alcohol causes you to become a great threat not only to yourself but also to all other road users. When you’re drunk, you don’t have the same abilities that you do when you’re sober. Your ability to concentrate on the multiple tasks involved in driving is impaired. Alcohol will also reduce your ability to see things from a distance. So there is completely no excuse for driving when intoxicated. Speeding is a leading cause of road carnages that significantly increases the risk of injury or death for motorists and other road users. Not only does exceeding the speed limit in the wrong place cause accidents, but it can also make crashes more gruesome when they do occur. 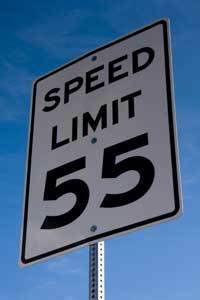 Higher speeds mean you have limited time to identify and react to what’s happening around you. Plus, it takes longer for the car to stop, meaning if you have to stop suddenly, you’re not going to be able to. In other words, higher speeds remove your safety margin and turn near misses into accidents. One of the toughest challenges on our roads is avoiding aggressive drivers. These drivers rarely obey traffic rules, frequently weave in and out of traffic, and do not adhere to speed limits. We may blame it on stress, alcoholism or any other factor, but the fact is that aggressive drivers are here to stay. You are always going to be faced with one of these drivers. It’s best that you find a way to co-exist with them. Get as far out of their way as you can. If they are cutting you off, do not make them angrier. Just slow down and let them pass. Resist the temptation to teach such drivers a lesson. Remember, you cannot control them, but you can control your driving and emotions. Traffic signs are usually posted for safety but are often ignored even by experienced drivers. Many drivers have accidents because they do not follow traffic laws. Fines for disobeying laws can be huge and they are easily avoided. Following stop signs and adhering to speed limits keep you from breaking the law and make the road safer for everyone. Traffic laws keep everyone safe and prevent injuries and deaths. Obey all traffic rules, they’re there for a reason, believe us. Defects in the car being driven could also be the cause of the rising road accidents. Bursting of the tires and a failure of the brakes are the most common instances found. In a crash, recently, it was found the airbags didn’t deploy on time. As a result, the driver succumbed to serious injuries and consequent death. Always make sure your vehicle is well maintained and cleaned. Vehicle maintenance includes having the mechanic inspect the brakes, topping off the wiper fluid, checking the tire pressure frequently, changing your oil regularly, and replacing your windshield wiper blades. Under deflated or worn out tires is a cause of many road accidents. If you cannot perform car maintenance on your own, hire a mechanic. In addition to maintaining your vehicle, be sure to pay attention to the weather and make sure your vehicle can handle it. When it is pouring rain, are your wiper blades equipped to keep the windshield clear? When roads are covered with ice and snow, does your car have snow tires or 4-wheel drive tires? Has the engine cooler been topped off or checked lately? All of these are vital considerations. Tailgating is a contributing factor in more than 25% of all road accidents on the road, according to research by the Highway’s Agency. In fact, it is one of the top five causes of road carnages. Tailgating is driving on the road too close to the car in front. The distance between your vehicle and the vehicle in front is too close that it doesn’t allow the emergency stop to avoid a collision. As tempting as it may be when in a rash, tailgating lead to serious road accidents. Always allow at least ten feet of distance between your car and the car in front. Car accidents can be distressing, and the huge costs involved regarding personal trauma can never be calculated. Even minor accidents to your car can be costly to you, passengers, other road users, the environment and the infrastructure. If you are a driver in any part of the world, make sure you are familiar with safe driving techniques to avoid accidents. This includes avoiding alcohol/drugs, and rash driving.